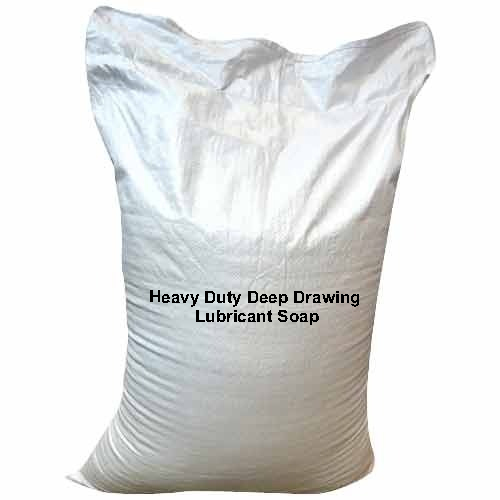 OMET–DRAWSOAP is heavy-duty lubricant soap for deep drawing of metal components. It is administered in solution form. Its high lubricity ensures smooth operation with minimum die head problem. It leaves a thin layer on the drawn surface for corrosion protection. OMET–DRAWSOAP is suitable for drawing of Mild-Steels, Carbon Steels, Stainless Steel and other Ferro Alloys. Also it is recommended for non-Ferro Alloys viz., Copper, Brass, Aluminium etc. Solid lubricant, for cold drawing application.